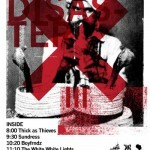 Austin, The Return of Art Disaster! Every year as the city, and our visitors, gear up for ACL Fest, there’s something special that always spotlights the city’s talents, reminding us that we’ve got quite a bit of talent here in town. 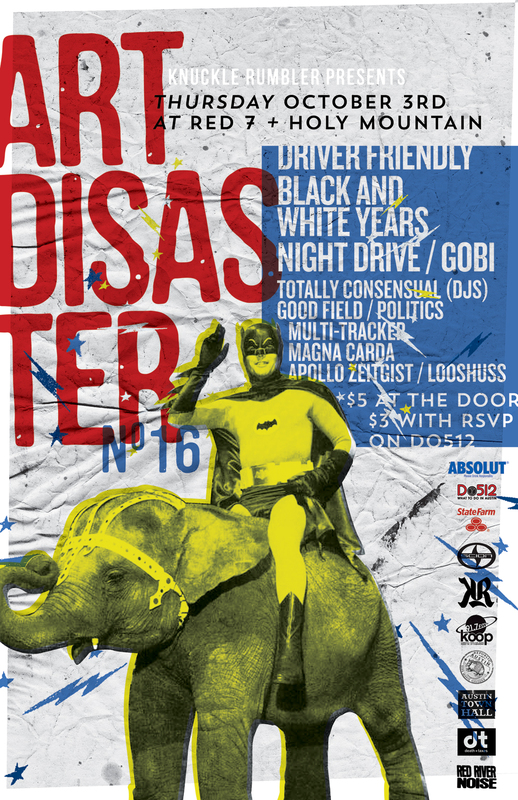 Art Disaster has been going on for a few years, and we’re happy to be one of the sponsors for this event. You’ll have two venues , Red 7 and Holy Mountain, offering great bands like Driver Friendly, Good Field and The Black and White Years, not to mention drinks and the cool people of A-town milling all about, including us! If you RSVP, you can get in to see the all the acts for a measly $3. Pretty much no excuse for you guys since it’s cheap, and you already took off Friday for the festival. 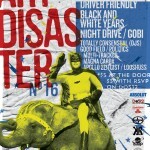 The always fun annual Art Disaster is going down again at Beauty Bar on Thursday night. 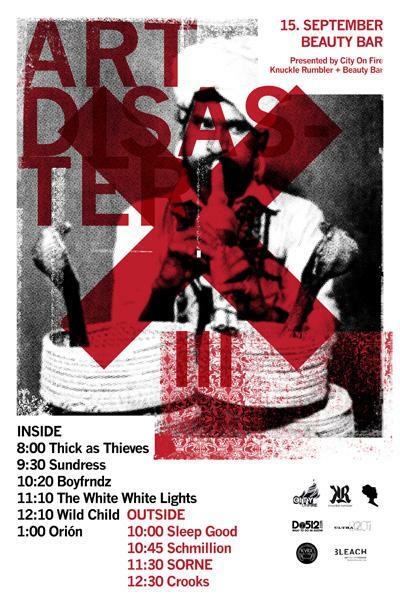 Yet again, local promoters have put together a solid all local lineup featuring Thick as Thieves, Sundress, Boyfrndz, White White Lights, Wild Child, Orion, Sleep Good, Schmillion, SORNE, and Crooks. 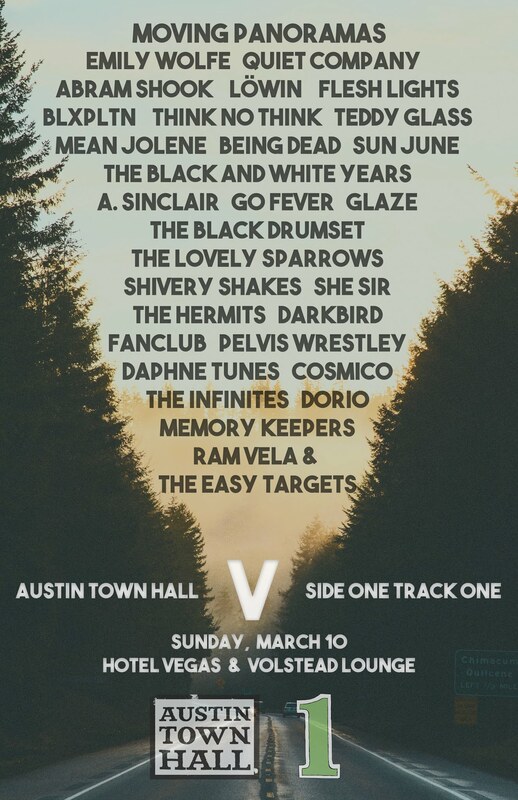 The fine folks at Do512 have a nice and handy schedule for all those bands if it’s confusing… Don’t forget to RSVP for a relatively cheap $3. So you’re one of those brave souls who just can’t get enough of the heat and music during the day at ACL and you want more? Or maybe you’re just one of those types who skip the festival alltogether and make it out to after parties and after shows? Regardless of what category you fit into, here’s a couple choices for each night of ACL for things to do after the festival activities wind down. We’re keeping it to just two options a night so as to not overwhelm you. Follow the jump for da parties.